Our son and two grandsons are here for a little over a week. The dinners we prepare are going to be more kid-centric and less dining lite. The first night they were here we had Zayde burgers or hamburgers made by their grandfather. Since I have posted what seems like a hamburger every week, I decided to skip the picture. Tonight we had some old school tacos. Ground beef, shredded cheese, hard taco shells, etc. It was a big hit with the kids and we adults liked it pretty much too. It got us to talking about the first place we ever had tacos (Jack in the Box, 1971). I went with John before we were a “couple.” It was pretty exciting with the orange grease running down our arms. 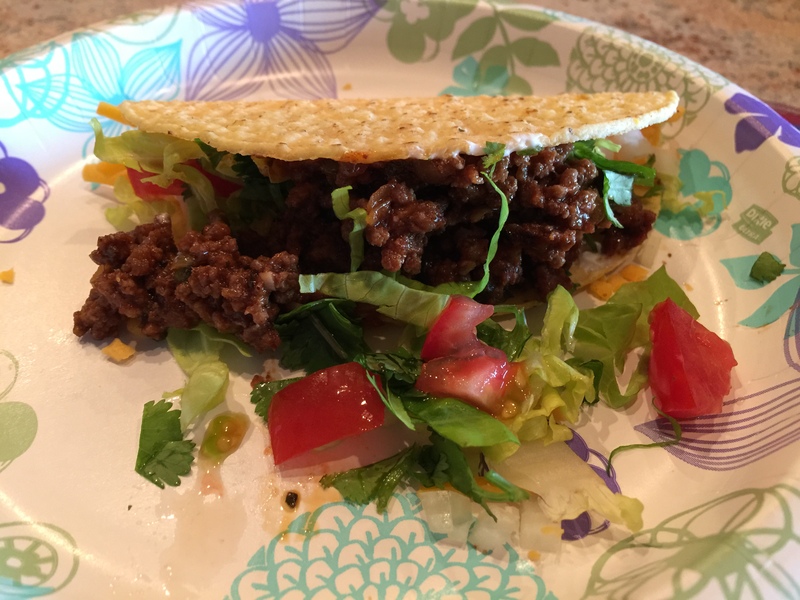 This entry was posted in Beef, Vegetables and tagged Tacos. Bookmark the permalink.